Dan Weisman, reporter, Arkansas Democrat, 1980. Like a bear breaking out of hibernation, every so often I like to trot out one of my favorite stories. Watching the Mueller Investigation and fallout from Presidential Election 2016 with the specter of Trumpism temporarily in the stolen White House on one side with Hillary walking the woods in forced retirement on the other, I got a bit misty-eyed today remembering one of my great moments up close and personal with national politics before they went viral. Remembering my old bud, Bill Clinton on the 2016 campaign trail brought back a few memories of my own, which I’m going to share with you now. Like the Ancient Mariner, but without the “stoppeth one in three” rigmarole, and all that jazz, I’m going to take a moment out from The Escondido Grapevine’s news feast and reflect on the beginning of the end of my Bill Clinton experience. Spoiler alert: It ended badly. Arkansas was knee-deep in a bitter daily newspaper war straight out of “The Front Page.” Back then, the Democrat was the new kid on the block, battling the entrenched Arkansas Gazette. The owners of the Gazette seemed to believe that if they ignored the Democrat, it eventually would blow away with the wind. However, the Gazette didn’t count on John Robert Starr, the Democrat’s feisty editor. Starr hated the Gazette. He dogged them with free classified ads and a confrontational, no-holds-barred editorial policy that would make people blanch in today’s homogenized news-gathering print environment. Or just maybe, Starr was a media visionary, way ahead of his time, given today’s sensational social media, blogging and outrageous celebrity and political news culture. Starr succeeded famously. 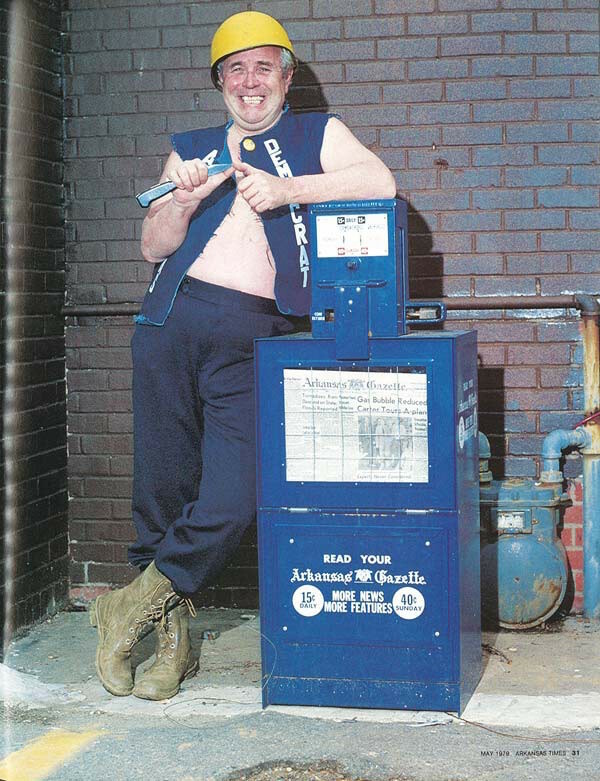 He drove the highfalutin’ Gazette out of business. The Arkansas Democrat-Gazette rules the Little Rock roost today from the old Democrat building on Capitol Mall. As a young reporter in Texas, I came up for an interview at the Gazette. I never had heard of the Democrat. But seeing a second paper in town, and being there already, I figured, what the heck. So, before my interview I went over to the Democrat’s funky offices. Three hours later I was a staff member of the Democrat. I never even made it to the Gazette’s office half a dozen blocks down the street. Starr buried me on the cute beat. I wrote stories about toddler beauty queens. I covered the secretarial Olympics. In this capacity, I ran across Clinton from time to time. He was a friendly guy and we talked about football. I was a Rice University graduate and he followed the Arkansas Razorbacks. The two teams butted heads in the old Southwest Conference. Sometimes, we talked about television. He didn’t like “Bosom Buddies,” starring a young Tom Hanks as a comedic cross-dresser. I did. And the feeling was mutual. Considered liberal for Arkansas, Clinton didn’t care for Starr, a big bear of a guy who was rock-ribbed conservative. Clinton also believed, correctly, that Starr was out to get him. Not the last time a man named Starr would do that. As fate would have it, Cuban refugees began leaving the island by the boatload around that time. Fidel Castro got the notion to send along all the sleazy guys from his prisons to make the political refugees look bad. 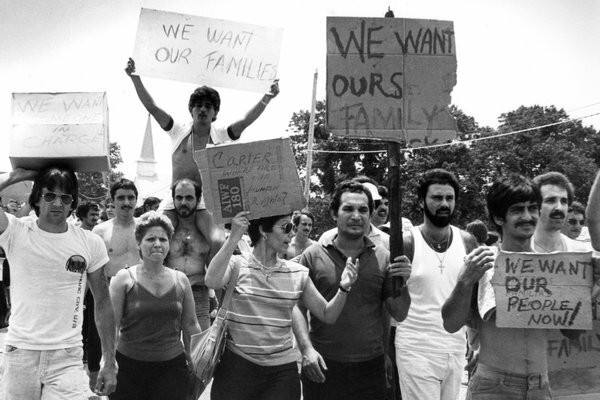 It was known as the Mariel boatlift and about 125,000 Cubans hit the seas between April 1 and Sept. 15, 1980. The nastiest Cubans of the bunch got sent to Fort Chaffee in western Arkansas, a former military barracks. I was rooting around Fort Smith near there for a feature at the time, so Starr sent me over to get a look at the Cubans. Bill, Hillary and Chelsea Clinton, 1980. Clinton showed up that day, too. I was the only Little Rock reporter on the scene, the only reporter he recognized. Seeing me, he walked about 50 yards across a grassy airfield to shoot the breeze. A small army of television crews followed him. The scene was number one with a bullet on television news that night. Starr decided Clinton liked me. Since the governor wouldn’t talk to the real Democrat reporters, Starr had a brainstorm: I would cover Clinton as he ran for re-election against Frank White, a Republican unknown. I saw Clinton hanging around those state police guards who later alleged they were procuring women for him. From my perspective, he looked pretty chummy with the guards — and I never saw Hillary, not once. It was a wild ride. He spoke and I wrote. The election turned ugly. Believe it or not, Clinton was defeated on a single, amazing issue. He had persuaded the Arkansas Legislature to raise the annual vehicle registration tax by something like $5. White harped on that to no end and Clinton lost an election for the second, and final, time in his career. 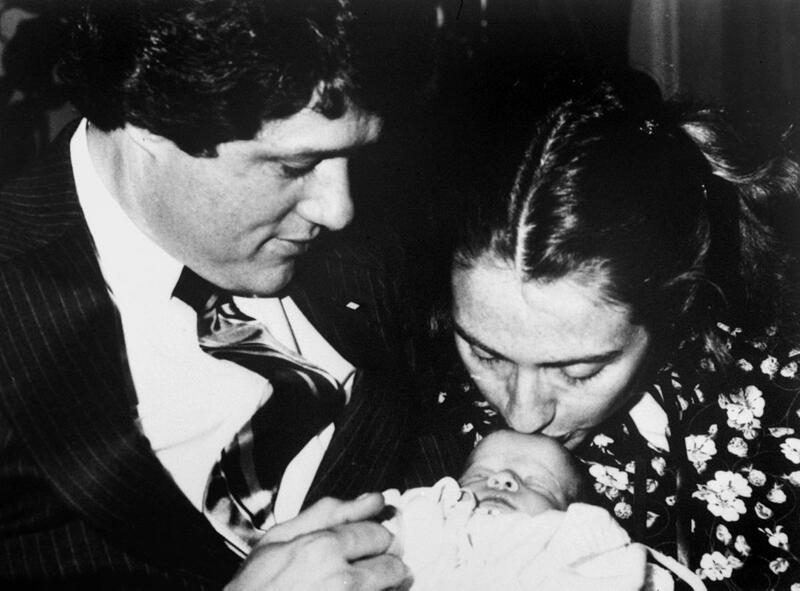 Election night 1980 was the last time I spoke with Clinton. I was the only reporter at his office. He yelled at aides and relatives. He broke down crying. I tried to get his reaction to the defeat as a burly state trooper shoved me out of the room and slammed the door in my face. Clinton licked his wounds, retooled and got back on the career fast track — fast. Too late for me, though. 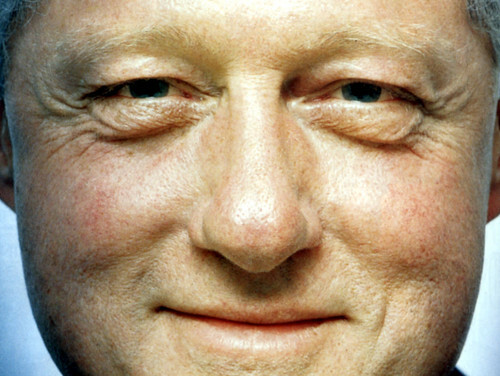 Forevermore, Clinton associated me with that horrible chapter in his otherwise glorious life. The Clinton presidency is a faraway memory now, and, thanks to the Russians and social media and all the other reasons still being unraveled by investigators and pundits, another Clinton never will pick up the mantle. So, I want to take a moment to say to our former president: It was nothing personal back then when you lost the election. Let’s not hold any grudges. Lunch at the Wooden Spoon? You got the time. I’m just a poor ole’ North County San Diego news media entrepreneur these days. Maybe, you’ll buy? Be the first to comment on "They threw me out of Bill Clinton’s office"